Good Veggie of the Month: CHARD. Its that time of the year again…time for resolutions, fresh starts and new beginnings. And among my many resolutions? I’m going to start snacking!! I don’t mean eat more snacks per say, I mean eat better-for-you snacks. Clean-eating-snacks. Snacks that will give you a boost between meals. I have a wicked ‘salt-tooth’ and my biggest junk-food cravings are snacks of the salty variety; chips, crackers, pretzels, popcorn….I love ‘em all. 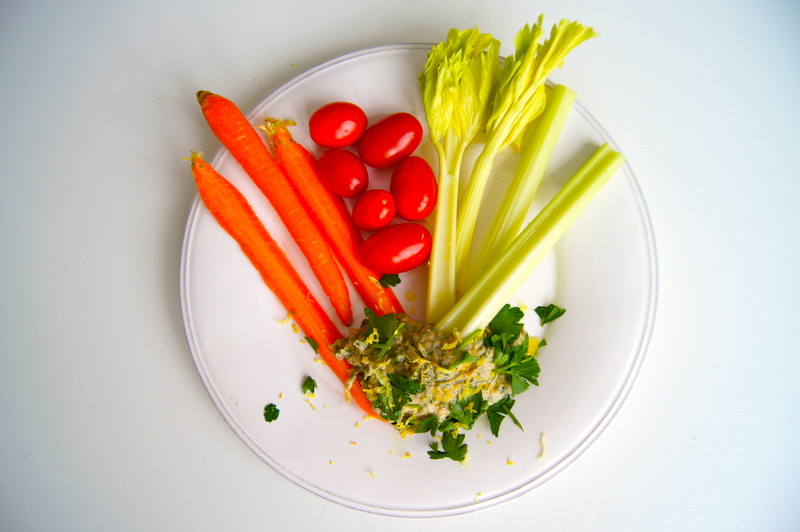 But those snacks don’t fill me up or keep me energized, so I’m trading them in for this White Bean & Chard Dip! This recipe is a healthy, clean, real-food alternative that will keep me (and you!) full and satiated between meals. 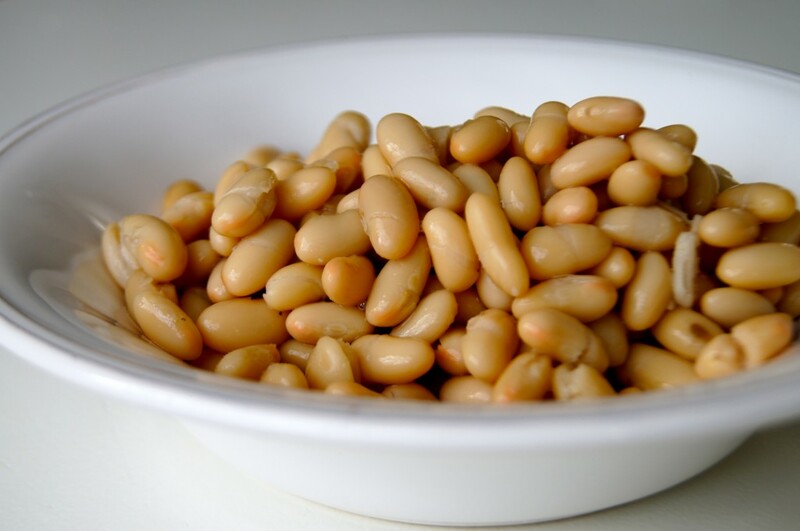 The white beans add needed protein and a touch of creaminess, while the vitamins in chard keep me feeling energized. I’ll be keeping this in my fridge during the week to curb that salt-tooth and refuel between meals. 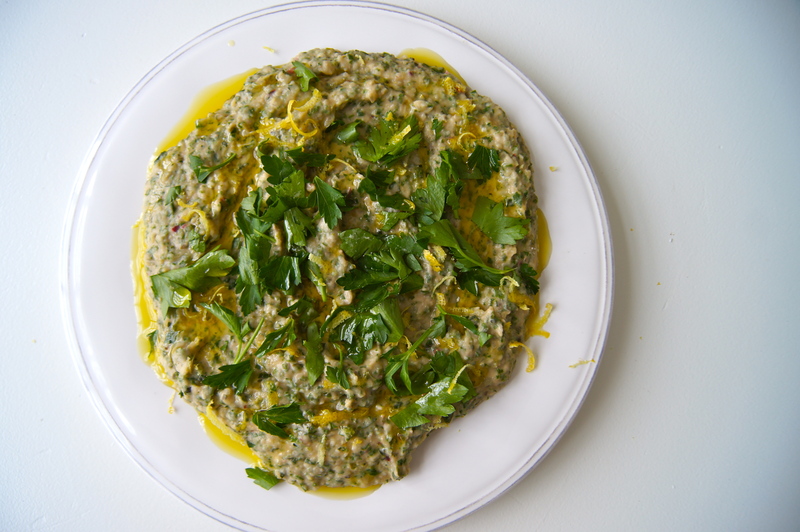 Chard, with its mild flavor and tender leaves, is a great addition to this dip. In warmer climates than ours chard is often ‘wintered’ (left in the ground to grow and survive the winter). Not only are chard plants tough enough to survive a mild frost or two, but their hearty leaves also store longer than spinach or other lettuces. 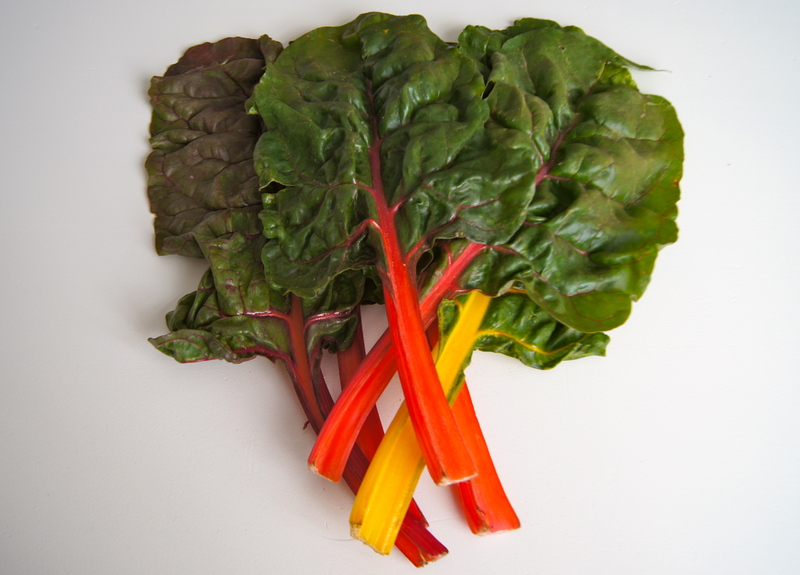 This recipe works well with any type of chard; rainbow, red, swiss or green. And although I remove the tough stems for this recipe, don’t throw them away! They are a great source of fiber and vitamins and can be sautéed and added to soups or stir-frys. Speaking of vitamins…check out what a nutritional powerhouse chard is! So let’s hear it people! What are your resolutions? And what recipes are you making this frigid January? preheat the oven to 350 degrees Fahrenheit. cut the top ¼ inch off of the head of garlic so that the cloves inside are exposed. drizzle with 1 T of olive oil and wrap in aluminum foil. bake the foil package on a cookie sheet for 20-30 minutes. garlic should be light brown and cloves should be softened. thoroughly rinse the chard, making sure all dirt and sand is removed from the stems and leaves. remove the stems and coarsely chop the leaves. slice the shallots thinly and sauté over medium heat with 2 T of olive oil for 3-5 minutes until shallots are softened. add the chopped chard leaves and sauté, stirring frequently, until chard is wilted. drain and rinse the beans. 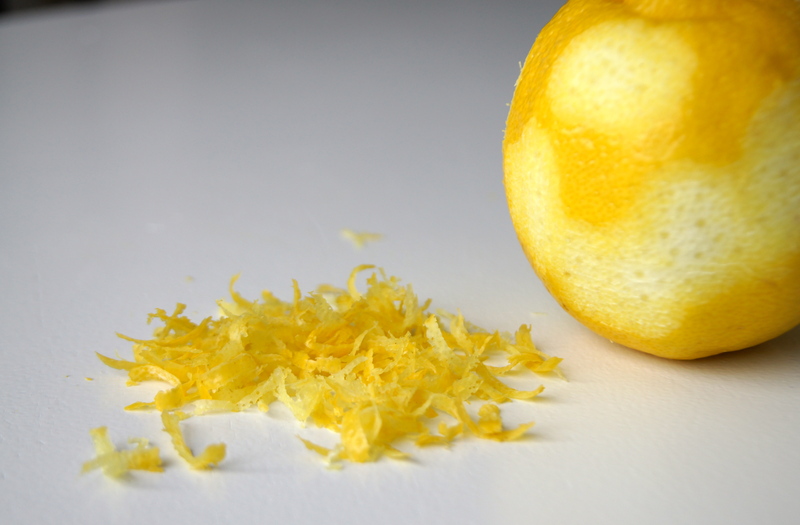 add the beans, lemon juice, lemon zest, black pepper, and cayenne to a food processor and pulse until combined. add water, remaining 1 T of olive oil and blend until smooth. 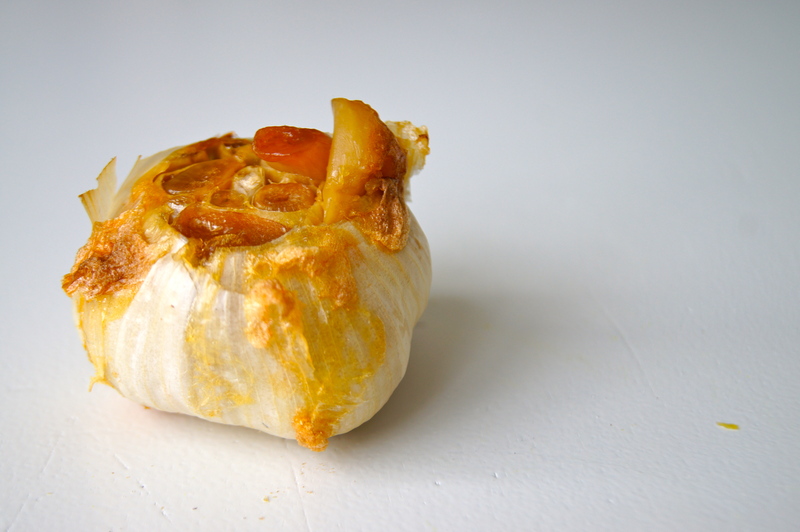 squeeze the bottom of the roasted garlic bulb until the cloves are removed from the peel. add 5-6 cloves of garlic to the bean pure and blend until smooth. add the sautéed chard mixture and pulse, until the chard is in small pieces and mixed into the dip. 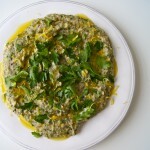 transfer to a bowl and top with chopped parsley and a drizzle of olive oil. serve with crackers, pita chips or crudité.